New straight cut 13T bevel gear & 44T conical gear. The new straight cut bevel and conical gears increase acceleration, runtime, and efficiency. A free and efficient drive train will also increase speeds while cornering. The pins for the centre axles are shorter because they would interfere with the brake disks, just that. tom1974 and Anunnaki like this. If it is an ebuggy, then there is no harm in running 13.8 everywhere. With the nitro buggy, you need the 12.8 mm pins in the center to slide inside of the brake disks. What mount are you using? Yes, I do run the Alum split supports on mine. I'm just getting the 8 I know I'm late too the show her running the 7r for years and been reading looks like I'm going to use dog bones, underdrive reem the arms and Clarence the center did cover in my build plans. Any other must build tips before I get building? Both shocks have exactly the same reference. I don't know if the pistons and springs are the same for both kits but the shock body, cap, shafts etc are all the same. Pistons are the same as well, but springs are different. In Eco are front 70/9.0T and rear 86/10.5T, and in nitro 70/9.25T + 86/10.75T. mattythegreat and Anunnaki like this. Have setup sheets started to show up yet anywhere, if so, where? Also Post # 787 above has the link too!! Last edited by 1/8 IC Fan; 11-12-2018 at 05:23 AM. 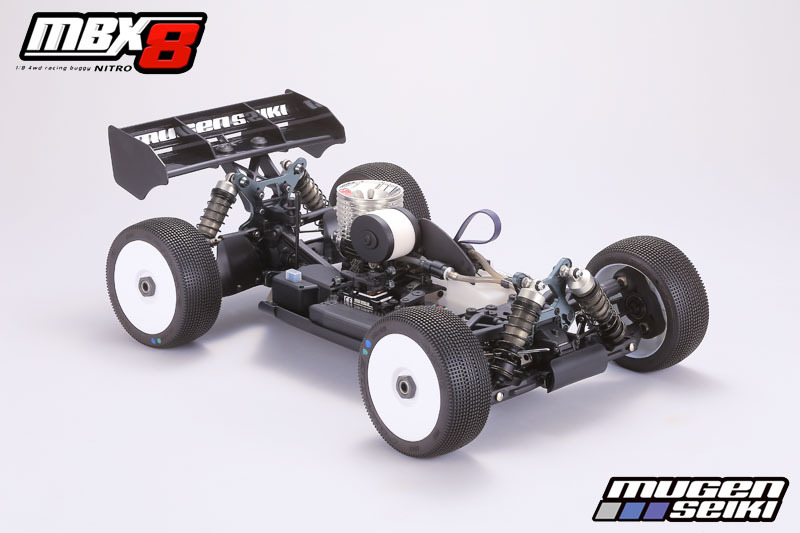 Hi everyone, what option parts is everyone using on the mbx8? so far all i have is the alloy servo saver and servo horns, various tuning things like bars and springs. All times are GMT -7. It is currently 05:41 PM.